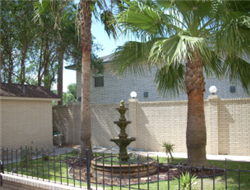 Description: 2 Bedroom 1.5 Bath & 2 Bedroom 2.5 Bath apartments in northwest McAllen. 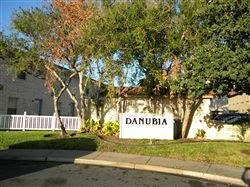 Great office location, approximately 1000 Sq Ft. Space Description: Reception Area, Small Conference Area, 2 Office's. Perfect for first time business owner or established business. Landlord needs to approve space use. Fully Equipped Kitchen, Ceiling Fans, Washer & Dryer, Large Walk-In Closets, Dual Stainless Sinks, Cover Parking, Central Heat & Air, Oversized Pantry, Alarm System Equipped, Near Bill Schupp Park, Museum, Gold Gym, Walgreen's, Dollar General, Moon Beans, Rayburn Elementary, Morris Middle School, and McHi High School, Shuttered Windows and Chimney. 2 Story Townhomes fully equipped kitchen, ceiling fans, washer & dryer, large walk-in closets, dual stainless steel sinks, covered parking, central heat & air, over sized pantry, solid wood cabinetry, alarm system equipped, dishwasher, garbage disposal. Located close to Perez Elementary, Morris Middle School, McAllen High School, Bill Schupp Park, Moon Bean Coffee Shop, Sweet Temptations Coffee Shop, H.E.B., Dollar General, Gold Gym, McAllen International Museum.